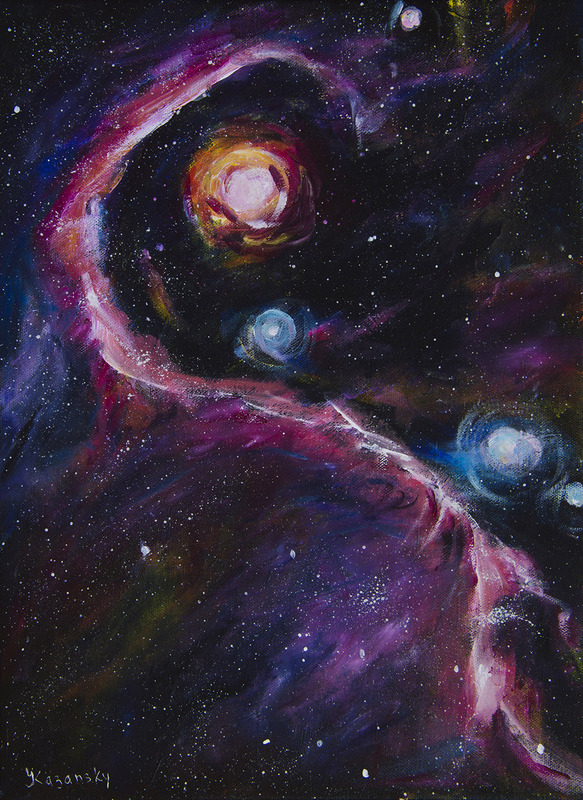 Fragment of Elephant Trunk nebula, acrylic painting on stretched canvas, 16×12 inches. This artwork is copyright © Yulia Kazansky. All rights reserved.